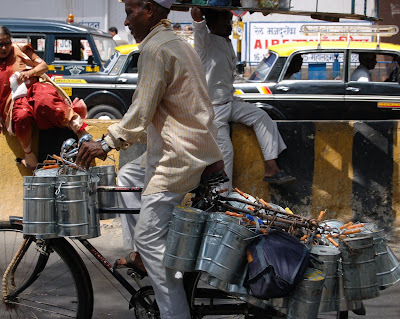 Traveling as far as thirty miles away, the dabbawalas begin each day by picking up homemade lunches and delivering them to workers either in an office or factories in Mumbai. As you can imagine, being the second most populated city in the world, the traffic in this city is crowded and often jammed beyond reason, preventing people from leaving their workplace to eat lunch. Under British rule, this was the way many British workers dined......also, workers spend a great deal of time commuting to and from work making lunchtime totally unfeasible to travel away from the office for lunch. 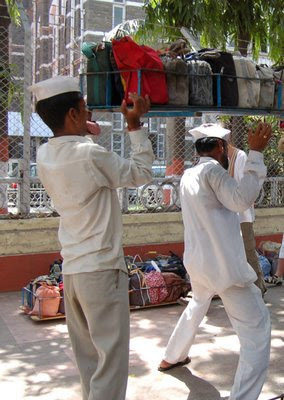 For a small fee, the dabbawalas arrive around 9:30 to pick up the specially designed containers and off they go, either on bike or foot, to the final destination. Mass lunch brigades on coffin like platforms arrive by train and then are picked up by a very organized team and delivered to the designated destination. You will notice on the lunch containers codes to determine what train the lunches will be carried on and the code for final delivery. 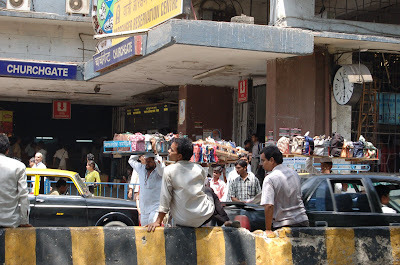 Churchgate Station is a great location to witness the incredible display of teamwork. The action commences around 11:30am when containers are loaded off the trains and grouped for delivery. 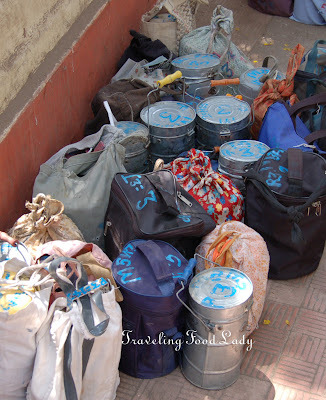 To top it all off, the lunch containers(tiffins)are then picked up after lunch and delivered back home, ready to prepare for the next day. Needless to say, scheduling and timeliness are essential for this profession.